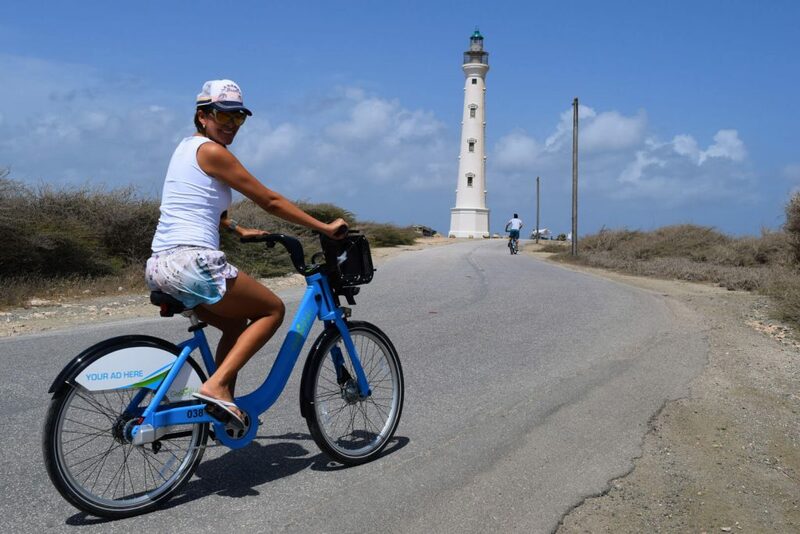 The California Lighthouse is one of the most popular bike rides in Aruba. It’s a scenic, easy ride, beautiful. 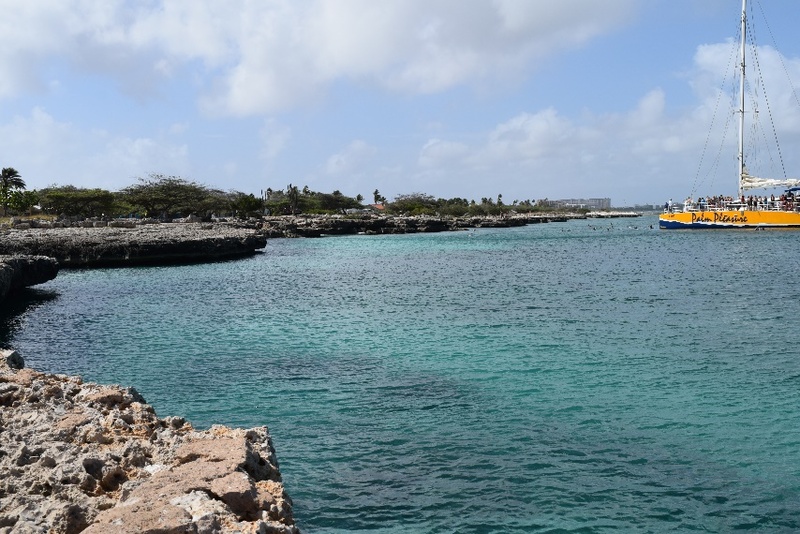 You will pass beautiful beaches on the way like Boca Catalina and Arashi where you can stop and just jump in the water. 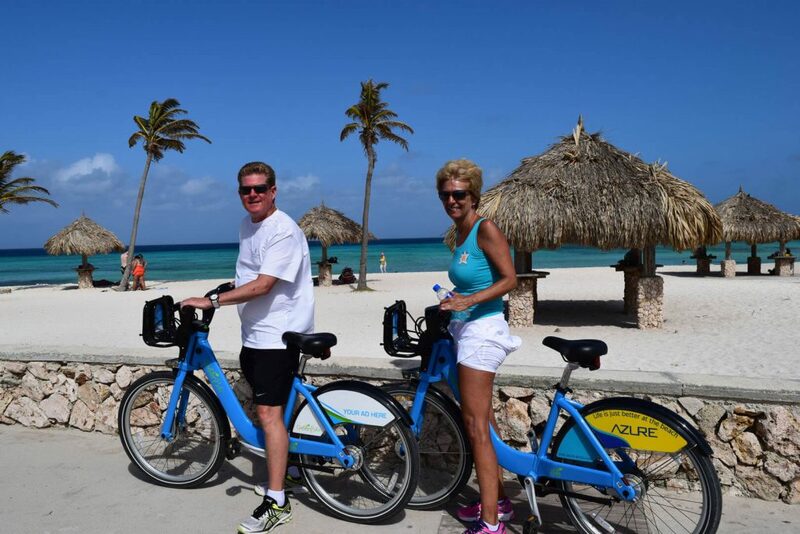 Riding the bike path at Linear Park is a great way to see the beach and Oranjestad, the capital of Aruba. Do not miss it…. 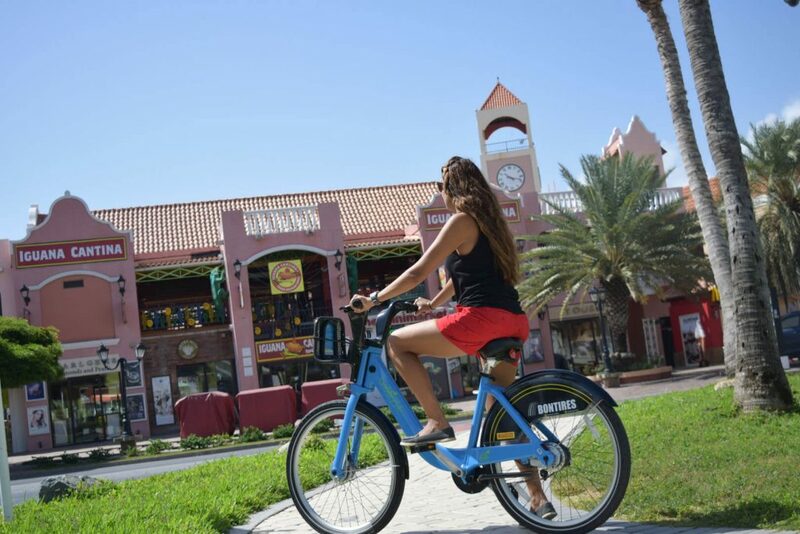 Enjoy a nice ride around the shopping and restaurant area. 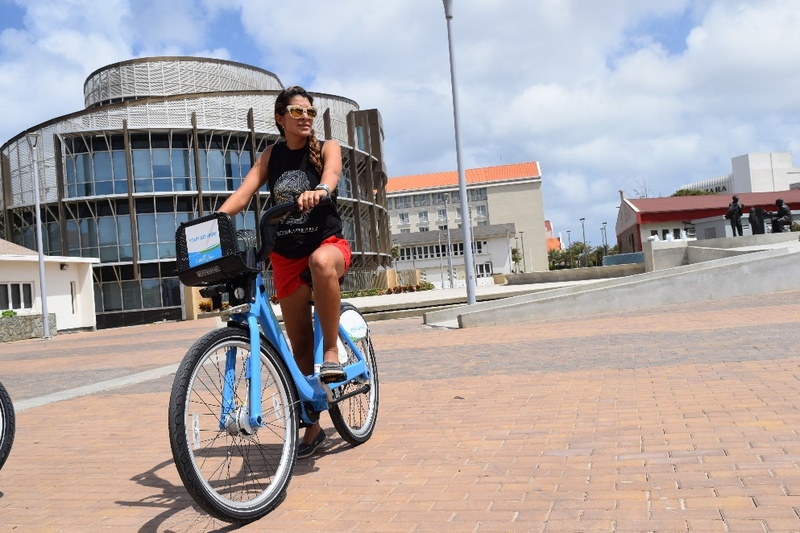 Riding a bike by Eagle beach is one of the most popular places to ride. From your hotel you can go to downtown. 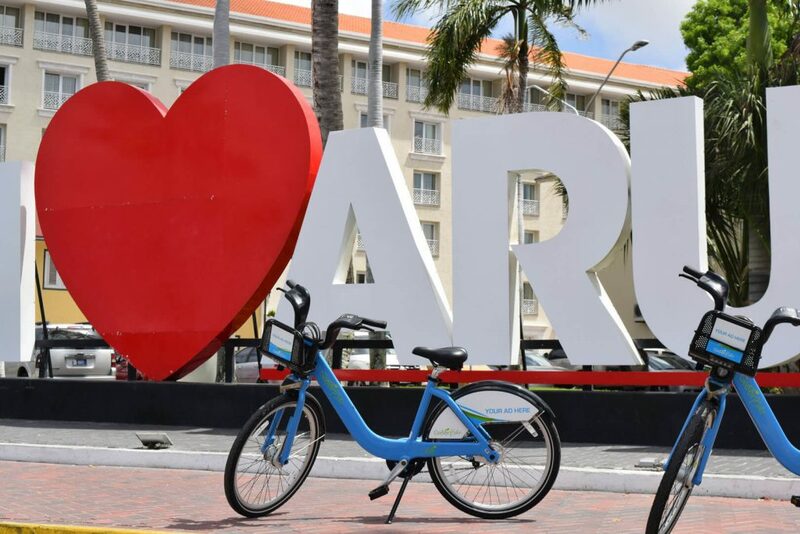 It offers the opportunity to enjoy and live Aruba. Cheaper than a taxi and more fun than waking. 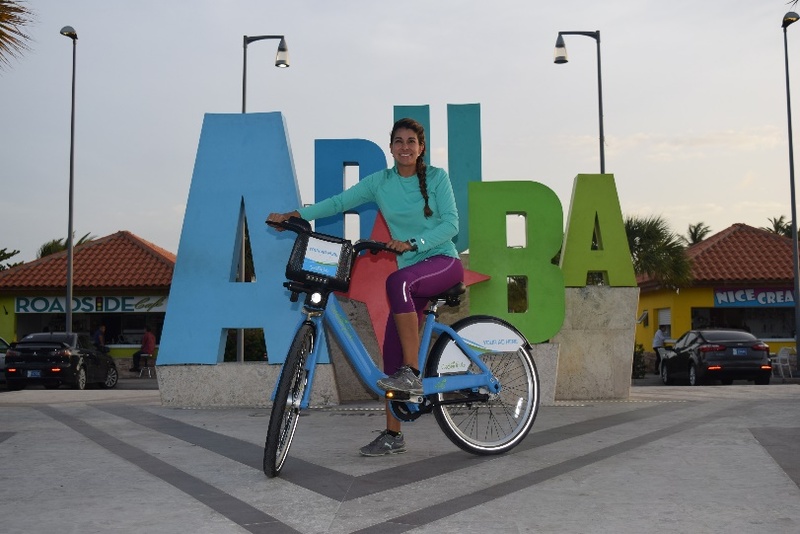 The Best way to go around Downtown is riding a bike! 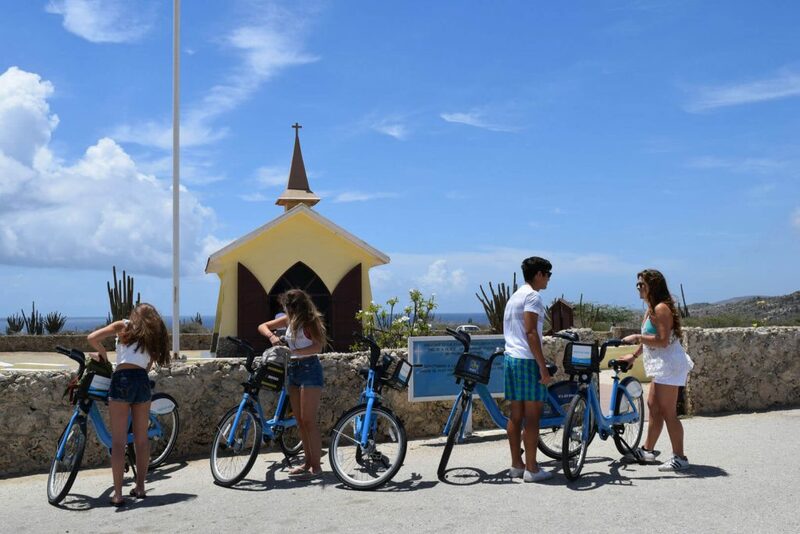 This Chapel is one of the most historical attraction in Aruba. 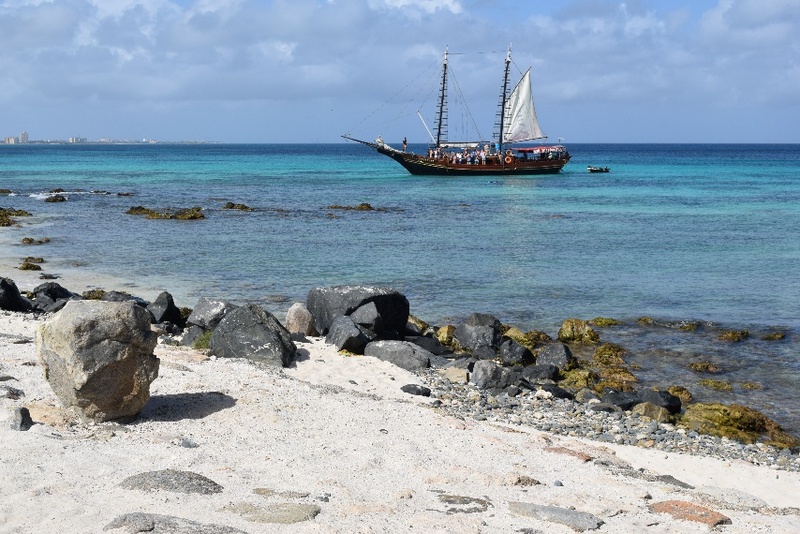 Boca Catalina is one of the most beautiful beaches of Aruba, the path to get there offers a breathtaking views of the sea. 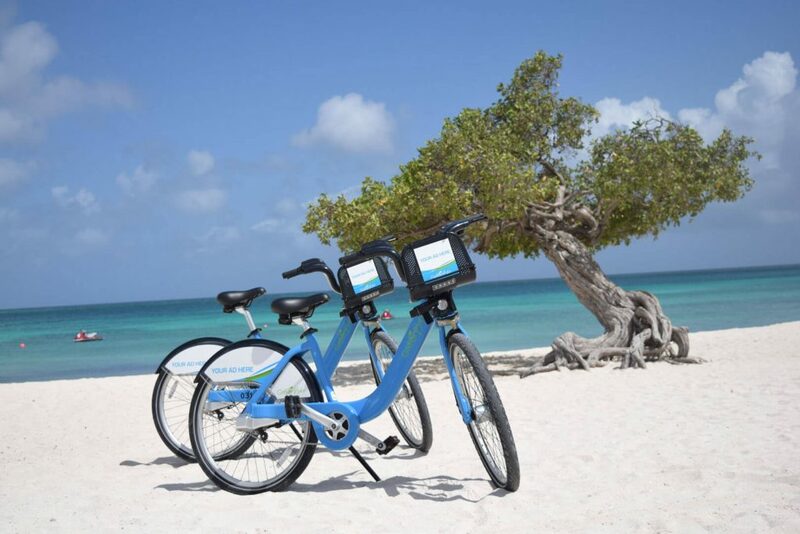 Enjoy stunning views of Aruba’s Best beaches while riding a bike. Enjoy working out, be outside, and be delighted by the most beautiful beaches of the world. Unlock a bike, be free.